3) Who is your favorite WFTDA skater and why? Crowe, she skates for the San Diego roller derby starlettes. One has tag says it all #croweknows hahaha the world will know about her soon enough. 5) Which MRDA skater pushes you to be better [because they’ve beaten you in the past]? B Stang for sure, I have skated with him and around him since we were young. He’s always been a step ahead of the rest. I work for him now and I use all that time with him to gain knowledge. In my opinion he’s the best skater in the world. 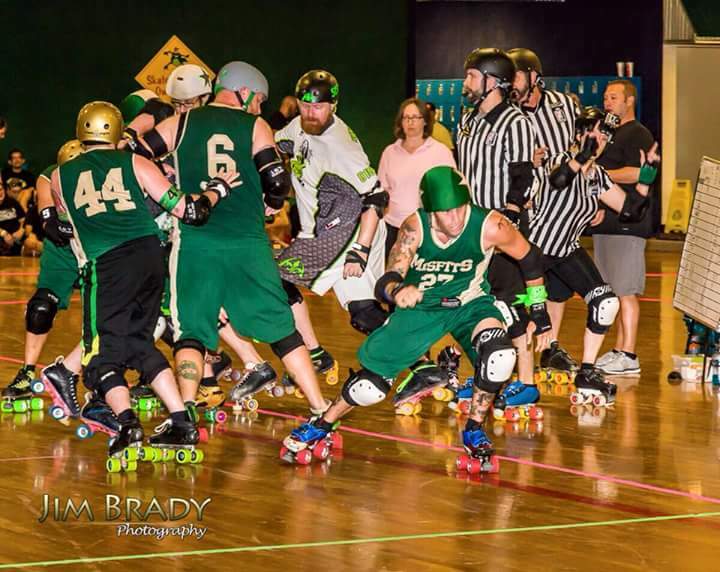 2) What is your favorite city to travel to play derby in? Ft Wayne. Just because we have been there so many times for spring roll I can drive around without gps. 3) Who is your favorite WFTDA skater and why? Ms. Jaxem [Erin Jackson of Jacksonville Rollergirls]. She grew up in my home rink and seeing her go from rink rat to world champion speed skater and arguably the best jammer in wftda is awesome! 4) When the team travels, which team mate(s) do you room with? I normally room with Chef, Bratz, or Moseley. 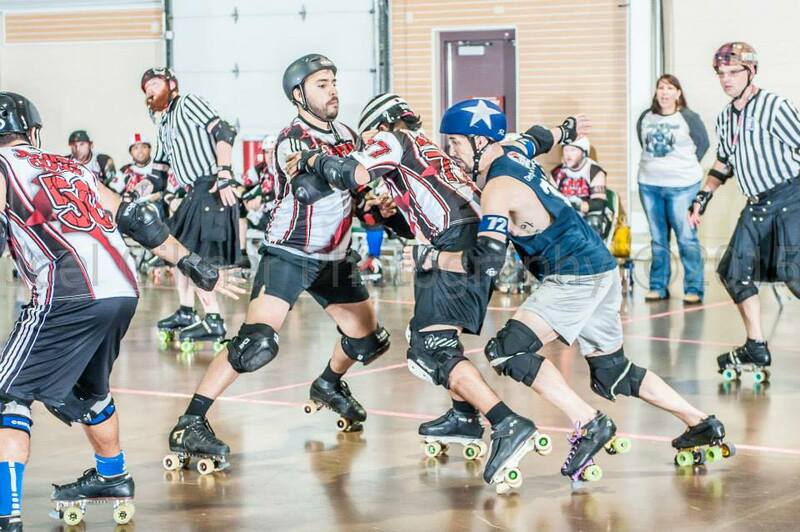 5) Which MRDA skater pushes you to be better [because they’ve beaten you in the past]? I wouldnt say a particular skater, but Texas men’s has really impressed me this season and shown what hard work and practice can do. The Aftershocks are generally an unknown in the MRDA.They played (and lost) to Puget earlier this season, but their roster has gradually increased with talent over the year. Magic City returns to Champs this year, and they are hungry to prove that they belong in the Top 5. Both teams play with speed, and both teams prefer a face-to-face blocking game to rotating walls. The Aftershocks have world champions B Stang and Just Mike from Your Mom on their squad, and they bring high level experience to the squad.However, Streak has been ‘getting the band back together’ all year in Jacksonville, you can expect to see the unnecessary spins and extreme lateral coverage that has made MCM a fun team to watch. 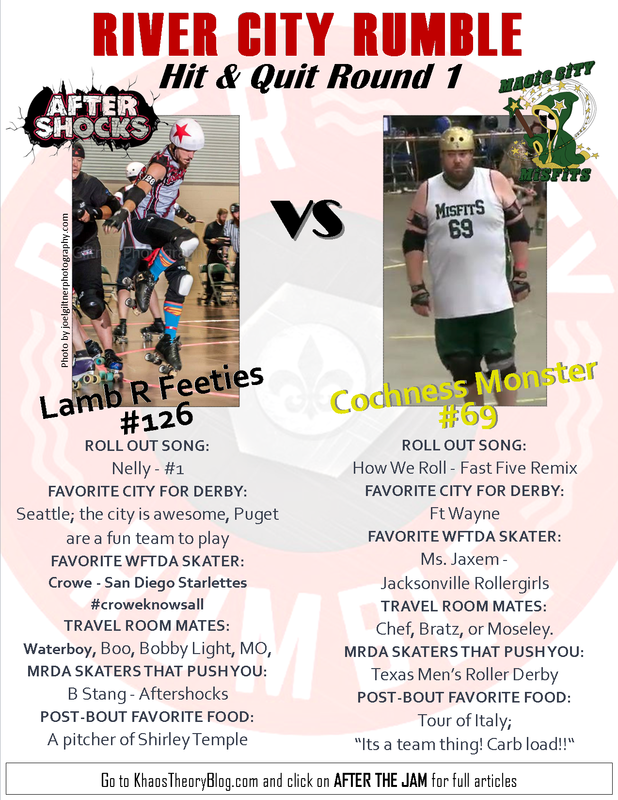 East Coast versus West Coast happens on WFTDA.tv at 11am CST on October 17, 2015.